Daphne Sweeten left Paris–and a job she loved–to marry the man of her dreams in the U.S. But when he stands her up on their wedding day, she’s left reeling and senseless. Literally. She’s been trained as a perfume creator and now her sense of smell has disappeared along with her fiance. Daphne Sweeten is a professional nose — by that, we mean she’s a chemist who is trained to be a perfume creator. When she gets stood up on her wedding day, though, her sense of smell disappears. Trying to piece her life back together, she works for a small company in Ohio, hoping to get her sense of smell back and fly back to Paris, which she gave up for the supposed love of her life. But her new job requires her nose, too, and her new boss, Jesse, doesn’t seem to notice that she cannot smell anything. They’re not creating perfume anyway — she can definitely do this, right? It’s a very enjoyable read, and I found myself rooting for Daphne and wishing that Jesse would finally make that step to move their relationship forward. I liked the set-up, though, and their relationship seemed very organic despite the short time they spent. There was just the right swoon, too, but not too much that it’s too cheesy. It was fun, but not mindless and it’s clean but not too prudish. I think my only complaint is that certain event in the end that brought about the big changes — it felt a little too convenient despite it being a bit surprising, bordering on being a deus ex machina. 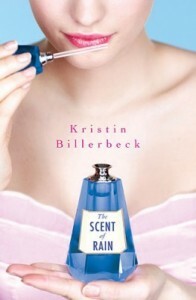 But other than that, I really enjoyed reading The Scent of Rain. It’s not super duper amazing, but it’s good, and it makes me want to start looking for my own personal scent. Reading this book makes me want to revisit the Ashley Stockingdale series to see if I still like it as much as I did on my first (and second) reads. Hmm. Twenty-something Hilda Gallares is having a hard time navigating life after college. She’s stuck in a bad relationship and a dead-end job in her family’s travel business. Obviously, this is not the life of travel, excitement, and sweep-you-off-your-feet romance that Hilda had always dreamed of. But after a pregnancy scare where she imagines the kind of life she might be living before she’s even really LIVED, Hilda finally starts a journey to search for her ideal job, her ideal self, and her ideal man. Will she finally try her hand at being a writer, or will she slug it out as a clerk at the travel agency? And will it be the passionate French backpacker she met at Sagada or the earnest Brit she met at the bar? But more importantly, will Hilda’s wandering lead her where she really wants to be? 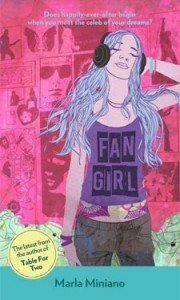 I read and enjoyed Tweet Sering’s non-fiction essay anthology, Astigirl, early this year, so I was on the lookout for the ebook release of her novel, Wander Girl. I believe this book has been published in print before but is now unavailable, so the ebook version was the best thing to come along, especially since I felt like I would like Tweet’s other writings. Hilda Gallares is also stuck in her own rut right after graduating college. Stuck in a dead-end job and a seemingly dead-end relationship, she knows that her life is not the one she had dreamed of back in college. After a pregnancy scare, Hilda sets off and tries to find herself, her dream job and her ideal man…but the question is, is she doing it right? 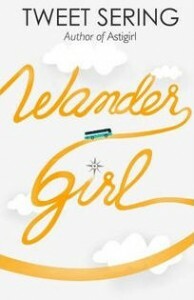 And will her wander girl tendencies lead her to where she really wants to be? I read Wander Girl overnight, and I can’t really remember the circumstances that led me to reading it that fast, except maybe that I was in some kind of personal rut. I figured I needed to do my own soul searching and also escape (it’s a paradox, but I think some of you will get it), so what better way to do that than to look for good local chick lit, right? Chick lit is about a woman finding herself, right? The book is written in a book format — meaning we are reading a book written by Hilda herself, not just the Wander Girl novel. I don’t know about others, but this made me enjoy the book immensely because it feels like I am actually reading something a fictional character wrote. Here we get a glimpse of Hilda’s family and her friends, which sets up the entire stage for her story to unfold. I liked Hilda from the start, but I honestly don’t think I see myself in her. Okay, I see a bit of myself, but I think Hilda is just a little wilder than I am, which is saying a lot, since Hilda never really considered herself wild. But I liked her, she’s such a likable character. Her friends and family are definite characters too that I just really liked reading about them. Also, everything Hilda goes through is so fitting for those who are experiencing quarter-life crisis. While the experiences may not be similar, I thought Tweet Sering captured the despair and the feeling of wanting to do something meaningful in one’s life perfectly. I could change a few details in Hilda’s story and it could be my story just as easily. 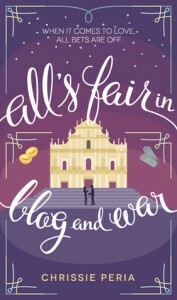 I also liked how Filipino this book was, not just with the injection of Filipino words and expressions (a glossary is provided in the ebook copy), but with the values and themes it discussed: leaving home to live alone (not really something people would do here), family matters and even religion. I especially liked how religion and settling down factored in the story, and laughed so much at that particular scene where Hilda just breaks down and acknowledges this. You’ll have to read it to believe it. Hee. All the laughter! Because the best thing about wandering off, I have found, is coming home.